I’ve been reading into the A+ light rail scenario. Obviously electric, efficient public transport is a wonderful idea. I was wondering if you would be able to provide any evidence of any environmental impact assessments? Areas such as Kilbirnie and Miramar are particularly susceptible to sea level rises in the future. Are there ways the initiative plans to future proof for a situation where our parameters are altered? How can we make sure the light rail system won’t interfere with current traffic flow, causing more congestion and carbon emissions? Do you think the light rail plan aligns with Wellington’s first to zero carbon actions? Sea levels could rise by up to 1.5 m by 2100, with bigger and more frequent storm surges. The light rail route FIT proposes avoids the lowest lying areas of Kilbirnie which will be particularly susceptible. There will be a realistic price on carbon emissions, making electric transport from renewable sources ever more price competitive with fossil fuels. There will be a price on congestion, such as through a demand-responsive price for parking and a charge for private vehicles entering the central city during peak periods. If there is the political will, all or most future growth in travel demand in Wellington can be met through public transport, walking and cycling (and scooting), without increasing private car use. FIT expects that sooner or later, Wellington will choose to give more priority to public transport, walking and cycling, and give less priority to the private car. This will progressively transform the city from car-dependency to one where people have more choices about how we get around. Traffic expands and contracts to meet the available road space. As soon as we destroyed the road, the cars just disappeared and drivers changed their habits. A lot of people just gave up their cars… In some cases, they kept using their cars but changed their routes. This is the Downs-Thomson paradox in action: The quality of peak-hour travel by car tends to equal that of public transport. Speeding up motor traffic is costly and self-defeating. Faster and more frequent public transport is cheaper and much more effective. The problem is not a new transport mode but an outdated assumption. Cars and trucks can be electric, but electric public transport is much more efficient, in both energy and passenger-capacity terms. It is also safer and cheaper, contributing to cities’ liveability objectives. New Zealand transport policy has traditionally followed British and US practice, which has been questionable for years. An extreme example is that Houston, in Texas, with a population about 30% greater than Auckland, now has a heavily congested 23-lane highway. Transport policy changed last year, with a new Government Policy Statement on Land Transport, and four strategic policies are now Safety, Access, Environment and Value for money. The NZTA seems to be struggling to adapt, but Auckland Transport is coming up with some radical changes. For example, FIT has proposed a 700 m single-track tunnel from Kilbirnie to Wellington Zoo. A second Mt Victoria road tunnel for ‘4 lanes to the planes’ would cost about six times as much, because it would need a much larger diameter. The light rail tunnel would have two or three times the passenger capacity of the doubled Mt Victoria Tunnel. Light rail in Wellington will need to take about two traffic lanes on each street, and will clearly reduce traffic capacity. When open, it will restore several times the lost capacity (so why does Wellington need four lanes to the planes?). The construction phase is more difficult, but experience with road works of all kinds shows that delays will be manageable: some extra buses might help. The light rail plan is primarily about shaping the future city, by promoting transit-oriented development along the light rail corridor, not just moving commuters from the suburbs to the city; although that is part of it, it is not the main focus. To accommodate future population growth and reach the zero carbon goal, we have to stop building car-dependent suburbs. 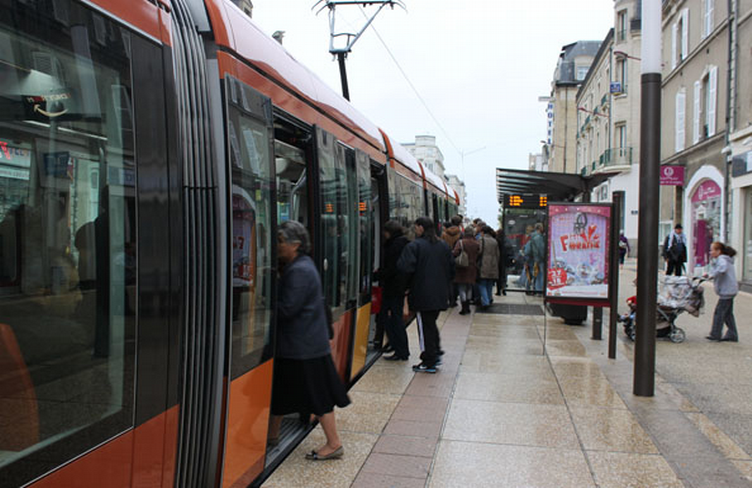 As other cities have done (Strasbourg is a good example), FIT envisions completely remodelling the streets the light rail vehicles run on: in many cases removing lanes of traffic and parking, restricting turn movements, closing or redesigning intersections, and where possible, widening and improving the footpaths. The aim is to have stops about every 800 m, but in reality stops will be at major destinations or logical locations that best fit the fabric of the city. Waterfront: Light rail tracks on the seaward side to minimise turning traffic problems, and a stop at Frank Kitts Park with offset platforms to minimise width: four lanes available for motor traffic. Adelaide Rd: Complete the existing road-widening work. At John St widen the road junction for light rail by moving back the existing heritage buildings on the east side: all existing traffic lanes retained. Riddiford St: Make the street a one-way pair for motor traffic, paired with Daniel St, to leave space for both light rail and a cycleway in the shopping centre. The proposed stop is between Newtown Av and Normanby St, where there is additional width: the existing two lanes are effectively retained, but with some loss of capacity. As a second stage, FIT envisages extending light rail north, by converting the Johnsonville line to light rail and potentially extending it to Churton Park. This would create a north-south urban growth corridor with rapid transit service all day every day. Follow-up: How you would deal with sea level rise along the strip on Cobham Drive that is right by the sea? Choices will depend heavily on what is chosen for the city as a whole. If some flooding is accepted, light rail will need special protection. As the Japanese discovered at Fukushima, a sea wall can become a trap if it is overtopped: the wall stops the water getting out again. FIT has sketched a sea-wall 1.5 m high along the east side of the Quays, with light rail on top and ramps for vehicle crossings to the waterfront area. Rongotai Rd itself is low-lying, with no sea-wall-solution practical. A possible option is ramps in Ross & Yule St, to an overhead Arena stop. The Cobham Drive roundabout at Troy St could also be crossed overhead, but the tracks would then have to ramp down to prevent the overhead wire (if any) being a risk to aircraft. The tracks could run on the south side of Cobham Drive, tucked into the bank below the runway, but would then have to cross to the seaward side of Cobham Drive to reach the Miramar gap (there are sensitive airport electronics on the land side). The usual solution is a crossing straight through the roundabout, with traffic signal protection so traffic stops for light rail vehicles. At Miramar gap the road will presumably be raised, to protect Miramar as a whole. Older PostIs there a case for light rail on the golden mile?